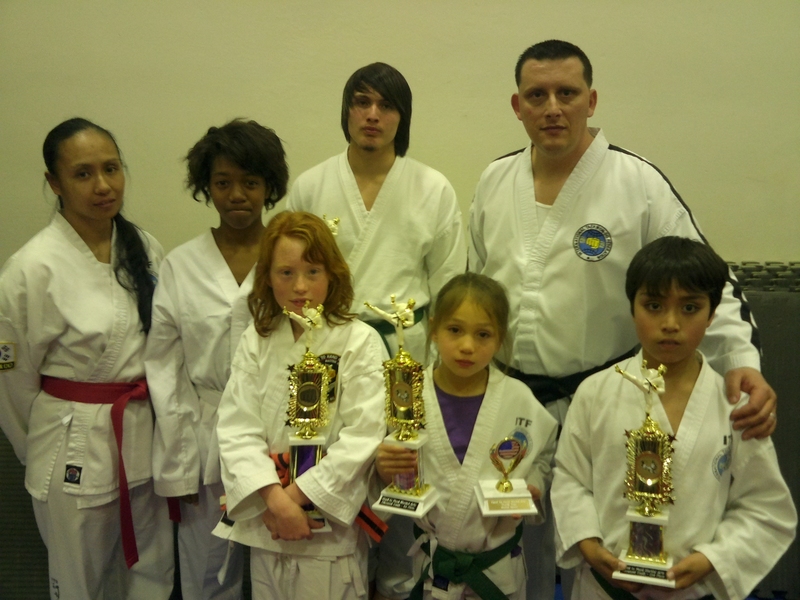 Master Albright is proud to announce the accomplishments of his students, the Hand to Hand Tae Kwon Do team, at today's tournament at Hand to Hand Martial Arts. This was Andrew and Bobbi's first tournament and they both performed exceptionally as did all of the team. The tournament was a great experience for them, I think they all learned much about fighters from different arts and alot about themselves as well. I couldn't be any prouder, great job team!!!!! Also recently tested and promoted was one of our newest students David Mayo. David is the student of Master Michael Robinson our Michigan representative. David was tested and promoted on the 17th of February to the rank of Yellow Belt in the art of Kyuk Too Ki. David is an exceptional student, it is a pleasure to have you in the AKMAA. Nominate your school or student for recognition. Everyone deserves some praise at some time. If you are a school owner, instructor or fellow student who wishes to have your school or another student or staff member recognized, then nominate them for the AKMAA school or student of the month. If you can have a picture in jpg emailed to blackbeltinyou@aol.com The AKMAA board will choose from all the entries each month and the school or person chosen for that month will receive a nice letter and certificate recognizing their induction. The chosen will have be on this page for one month along with their picture and short bio. To nominate a school or student fill out the form below.